My wine tasting notes for April 2012 are a little different from past months. I spent the majority of the month in Brazil. 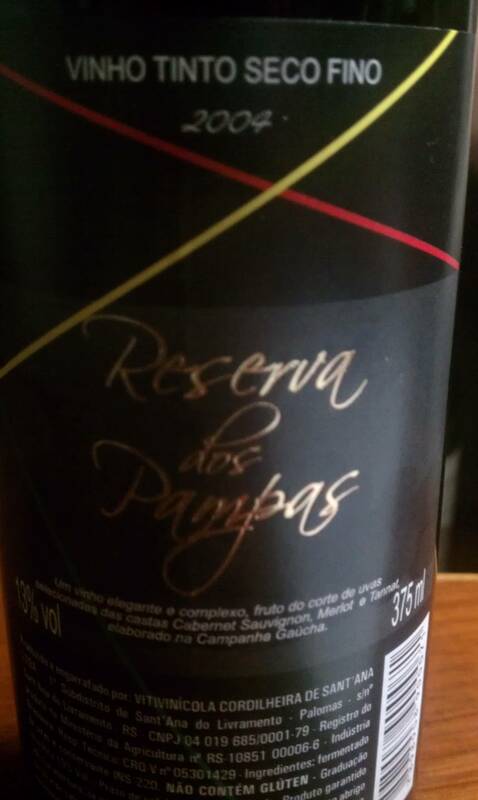 I tasted many Brazilian wines, not all made the post. In the next few weeks I will have detailed posts of my excursions in Brazil. The unfortunate part, is that most of these wines are not available in the states. I have listed prices in Brazilian Reals, which exchange about 1.8 to the dollar. 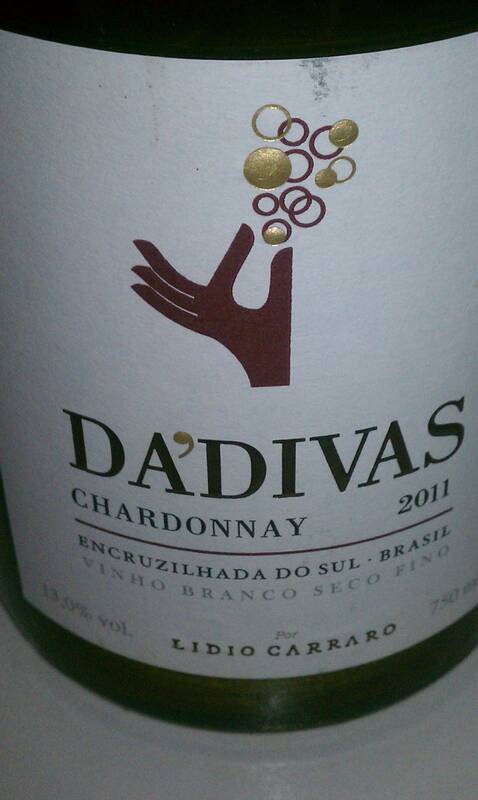 check out the Wines of Brasil Website. I also have a short video about the Serra Guacha here. ENJOY! Pineapple, fig, baking spice, banana aromas with weight. 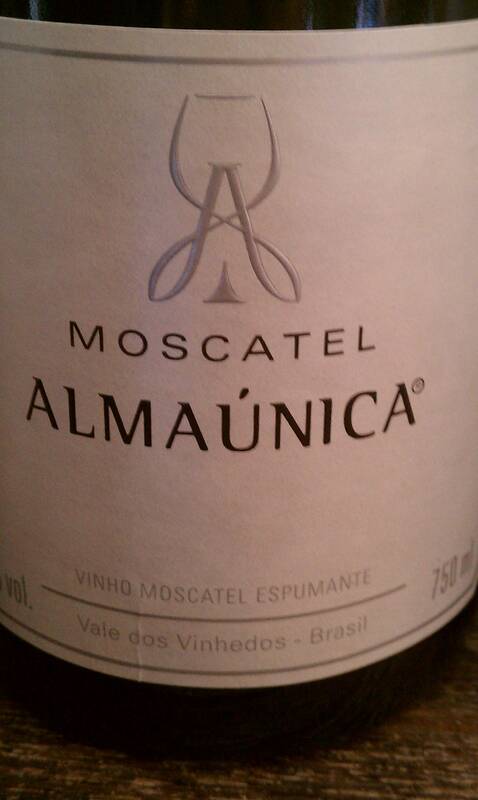 Alcohol is at 13.5%, a bit higher in comparison to other Brazilian whites. 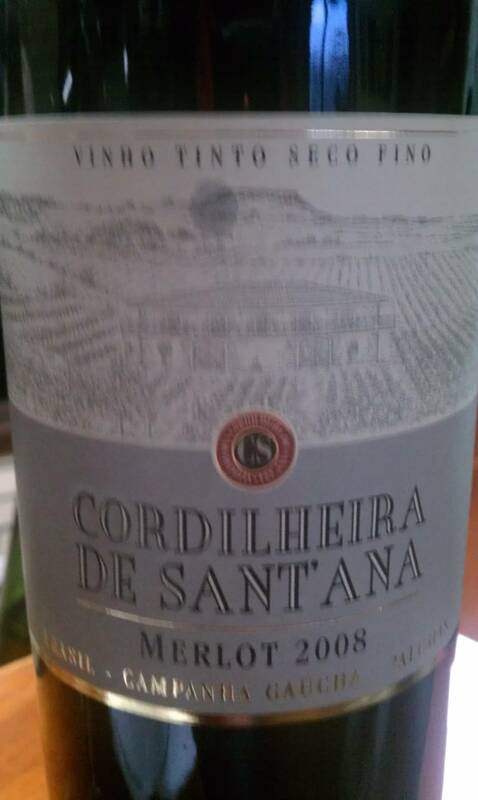 The acidity is not very high, however the flavors linger on the finish. In comparison to the 2008, the color is a lot lighter. It has aromas of butter, pear and field flowers. The wine is creamy on the palate and does not show a whole lot of oxidized notes you would expect. Here is the strange thing, this wine looks a lot more oxidized and has a deep golden color. However, tasting it, it is undeniably the 2008. It has a fresh fruitiness of pineapple, citrus and tree fruits. It too, is creamy on the palate with a zing of orange. I really enjoyed this wine. Reserva dos Pampas is another project of Cordihleira. It is a blend of Sauvignon Blanc and Chardonnay. The fruit is tropical and bright. It sits full on the palate with a warm spice. This wine is at 11.5% alc. 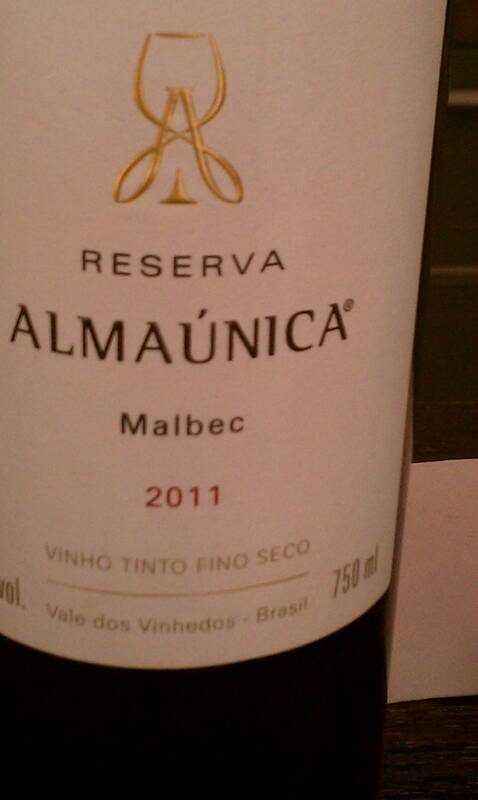 It has berry aromas, roasted nuts with a mineral edge. The acidity is high and finishes with pomegranate and tart red fruits on the palate. 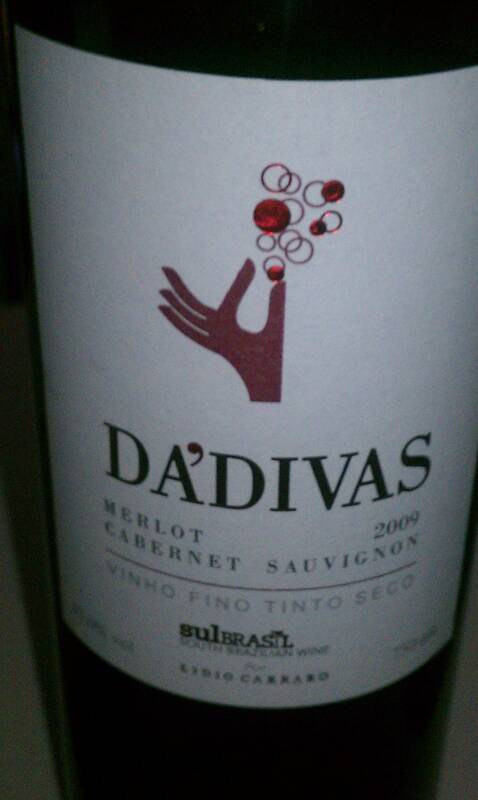 This Merlot is younger and shows more black and blue fruits. The alcohol is at 13% yet still retains that high acidity of the ’04. On the palate I get flavors of cassis, and red berries with more textured tannins. This wine has aromas of blackberries, Cassis, and raspberries. It is more forward than the other reds. It has a medium body with good structure. These wines are showing good acidity which allows them to be paired with food. This Cabernet comes in at 13.2% alc. and has aromas of olives, black fruit, and Cassis. The tannins are soft and the fruit is sweet. There is a flavor of cola and violets on the palate. The finish is long with clove spices rounding out the fruitiness. 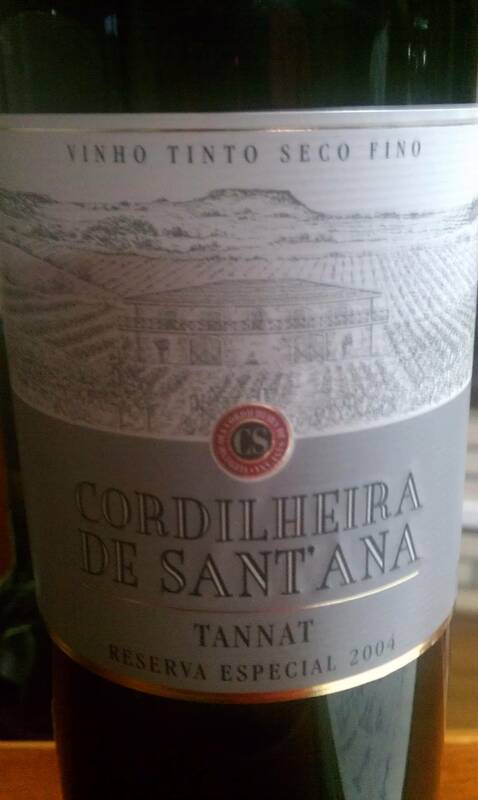 This is why I am getting excited about Brazilian wine, Tannat! It has an aroma of herbs such as fennel and sarsaparilla with black fruit. The oak shows its influence with aromas of saw dust and burnt caramel. The acidity remains high and tannins are prickly yet refined. It all comes together with complex flavors of leather and fruit. 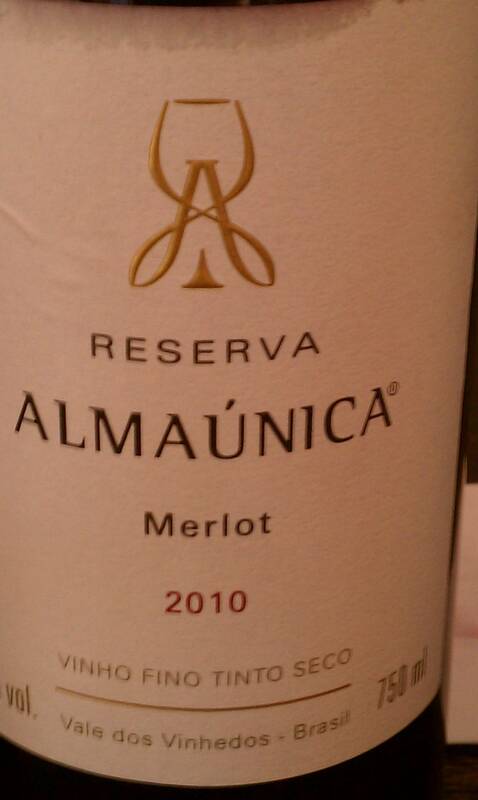 Almaúnica means one soul and one bottle. This Pinot is aromatic with notes of cranberry, violets and dried herbs. The tannins are drying and the finish is long. The wine is lean on the palate with high acidity. 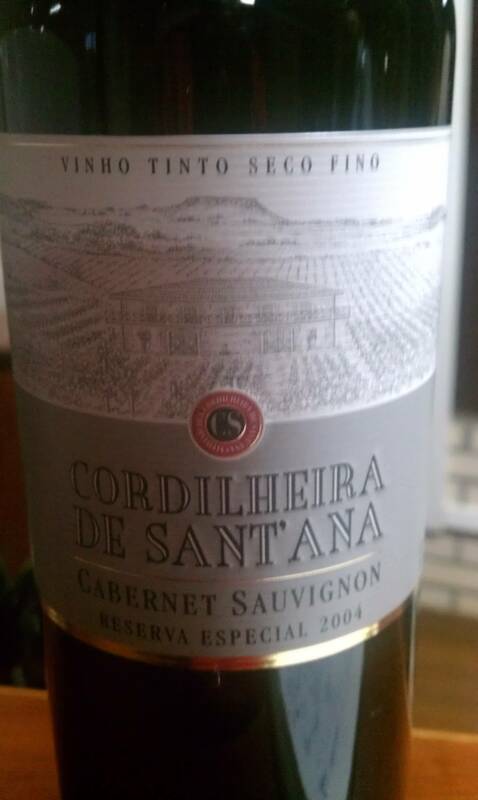 Medium bodied with raisins, red fruit and mineral notes, The fruit is under ripe and the acidity is high. This wine gets a little funky in the nose withe berries and moss. 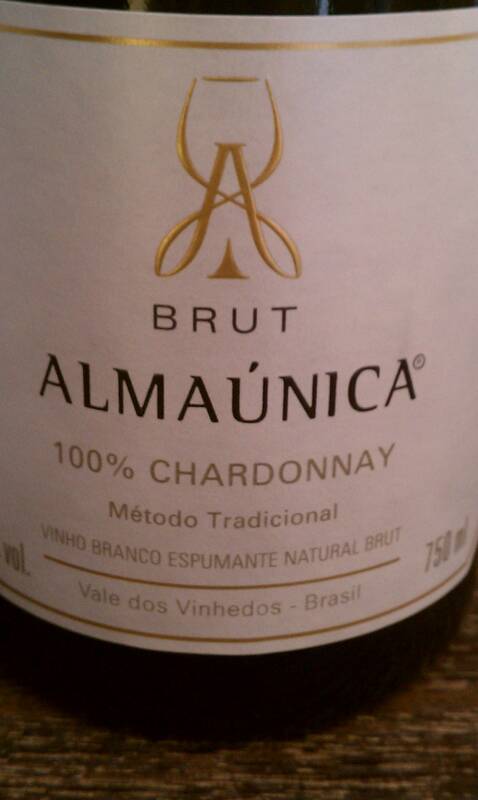 On the palate it is plush and soft, yet has high acids. The taste is some what of a salty, earthy flavor with cranberry and pomegranate. This Cab has aromas of violets, blueberries and bramble. Like most of the wines, the acidity is high. 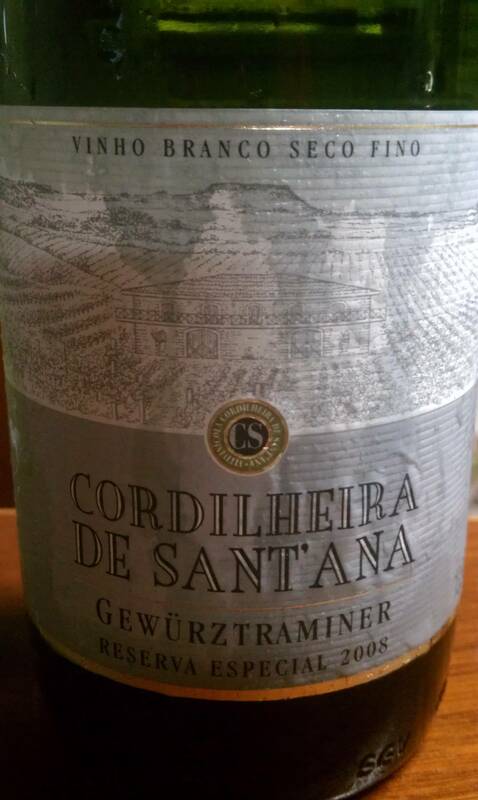 This wine also has a salty minerality that I picked up in a lot of the Brazilian wines. The nose is funky with a fresh-baked brioche, peaches, cream and mineral notes. On the palate it is dry with a long finish. Great flavors of grapefruit, white peach and citrus linger on the palate. 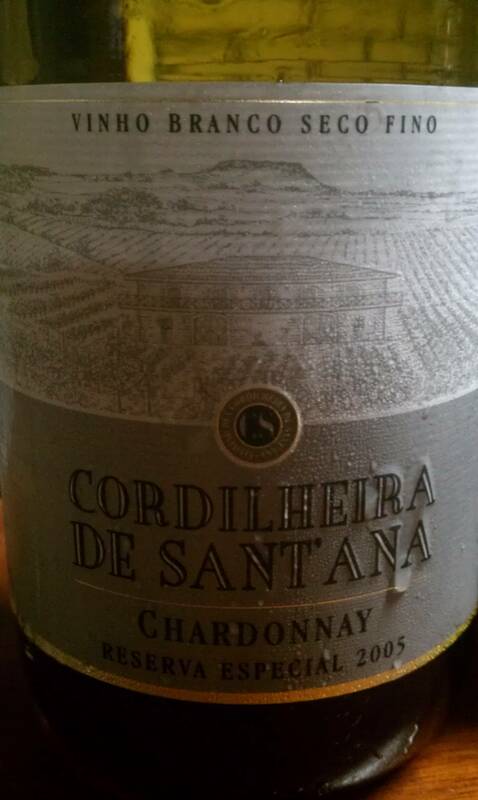 Light and clear in the glass with aromas of honey, white peach, citrus fruits such as tangerine and orange. It is bright and light like a Moscato should be. 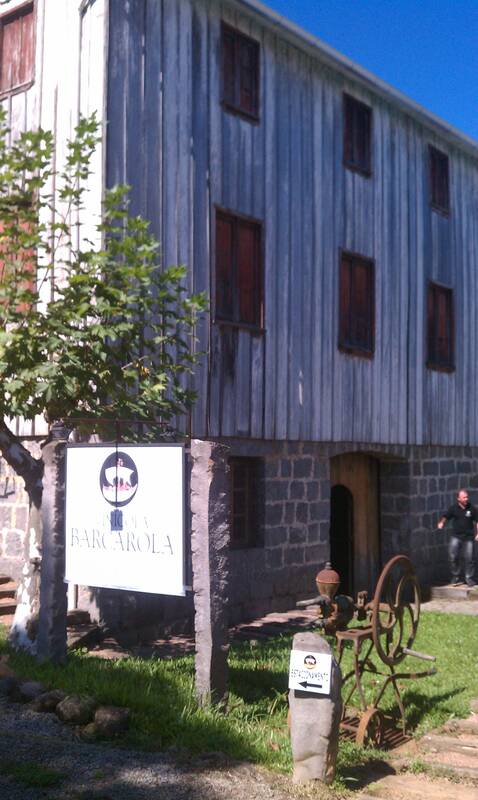 Barcarola is a small family run winery in the mountains of the Serra Guacha. 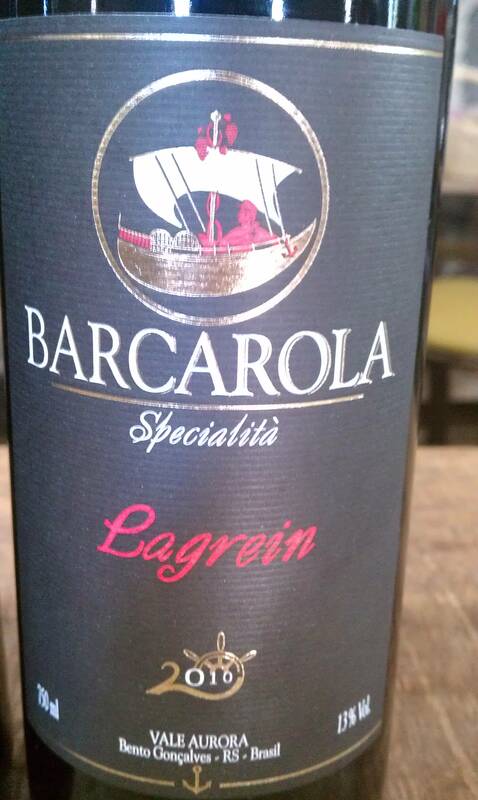 The winery’s name comes from a festival in Northern Italy where a boat is paraded through the streets filled with grapes. The Petroli family has been growing grapes in the Serra for over 100 years. In 1998 they decide to hold on to their grapes and producer their own wine. One of the sons, studied at Bento Goncalves in Brazil and went to Italy to get more training. Cesar, another son tasted me through the wines and mentioned that they want to stay true to their Trentino roots. Their current bottle production is about 20,000. All reds made at this house are un-oaked. The winemaker’s intention is to show off the terroir and grape. This wine is fruity with flavors of strawberries and raspberries. It is lean and light bodied with a zing of acidity. This wine benefits from being decanted, once it opens you get floral aromas and the mouth-feel is softer and tannins become rounded. Very good. This wine should be the flagship for the Serra Guacha. I believe that this is the direction more producers should head in, Italian varietals. The color is a dark purple color. It takes on an earthy aroma, kind of reminds me of trees, like someone was scraping the bark. 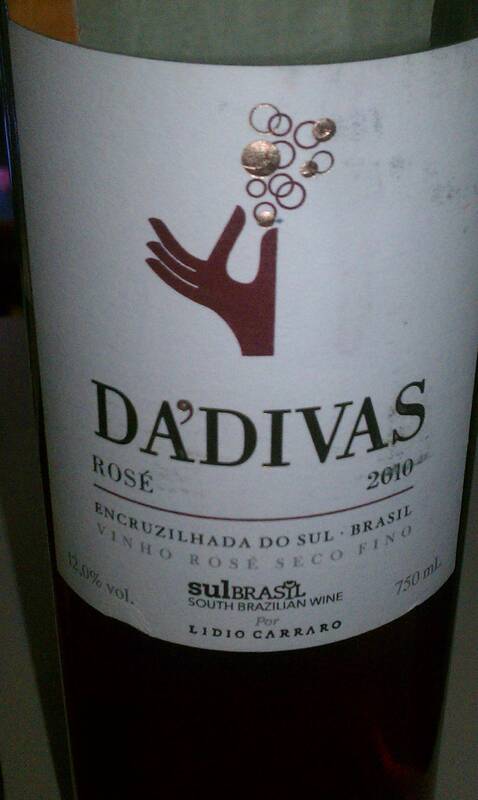 The fruits are a mixture of cranberry and plums, they are bright and fruity with excellent acidity. Delicious. 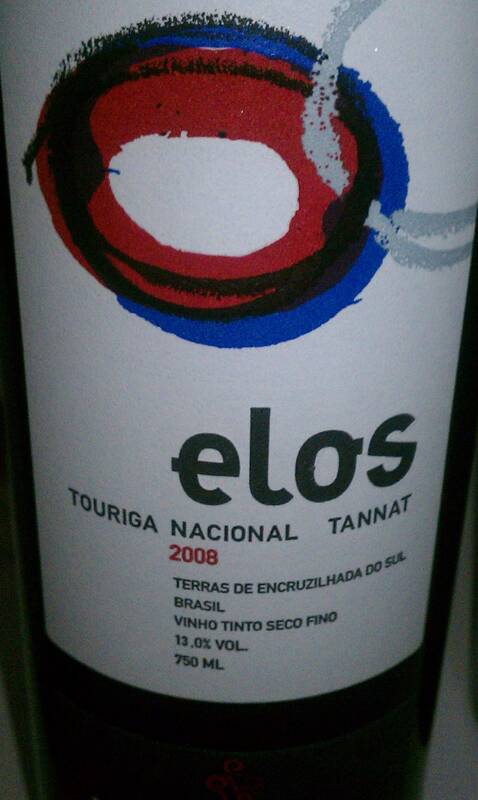 A bit more oxidized in color with excellent bottle age aromas of leather, prunes and raisins. Although the fruit comes across pruned in the nose, the palate shows bright fruitiness with excellent acids. The color is more garnet. The aromas and flavors are of sarsaparilla, cranberry, raspberry and flowers. The tannins are very present, however well-integrated. 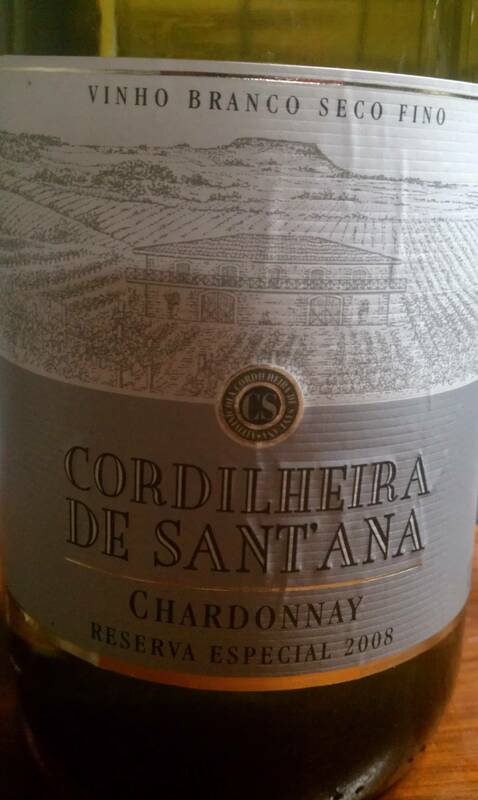 The acidity is on the high-end and is balanced with bright fruitiness. Very Good. 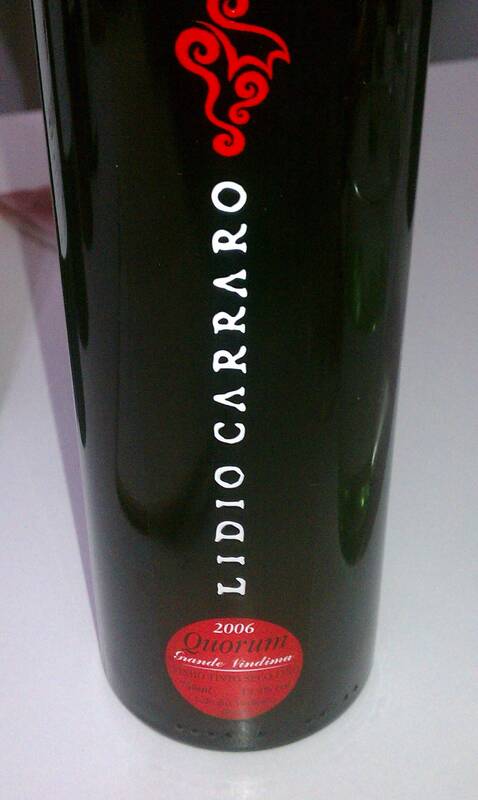 The wines of Lidio Carraro come from different parts of Brazil. The Lidio wines are from the Serra Guacha, the Agnvs, Da’Divas & Elos wines come from the south, Terras de Encruzilhada do Sul. 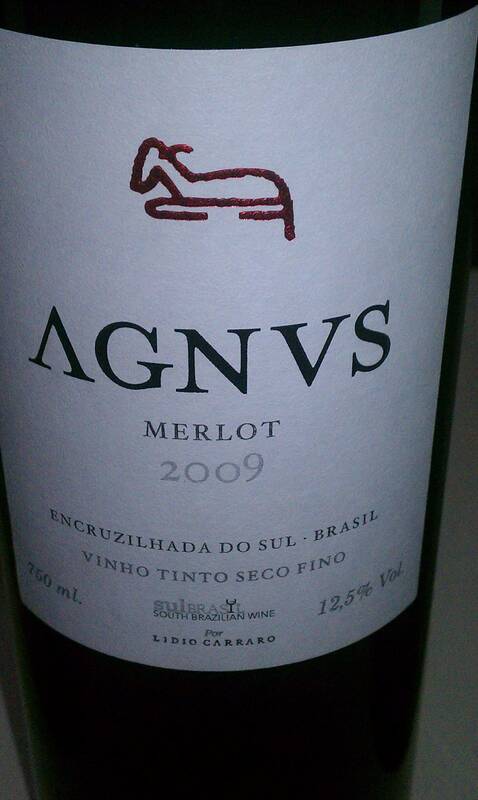 The Agnvs wines are made with 100% varietals. They are sustainable in their wine making and they were the first to have a gravity flow system in the winery. This is one of the many wineries in the Serra Guacha that is starting to experiment with vineyards in the South. 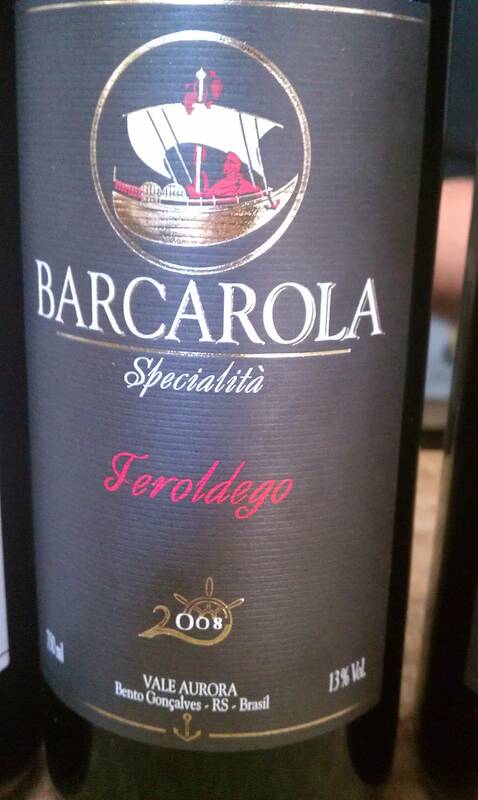 There philosophy is similar to Barcarola in that they do not use oak for their reds. At 13% alc. the wine is tropical with flavors of guava, pear and citrus. It is creamy on the palate with high acidity. The alcohol comes through just a bit on the palate. The color is of a copper/salmon color with aromas of strawberries and earth. The acidity is a bit flat. It comes across a bit warm on the tongue, it has the possibilty of being really good if the acidity was brighter. At 12.5% alc the wine has a lot of viscosity in the glass. 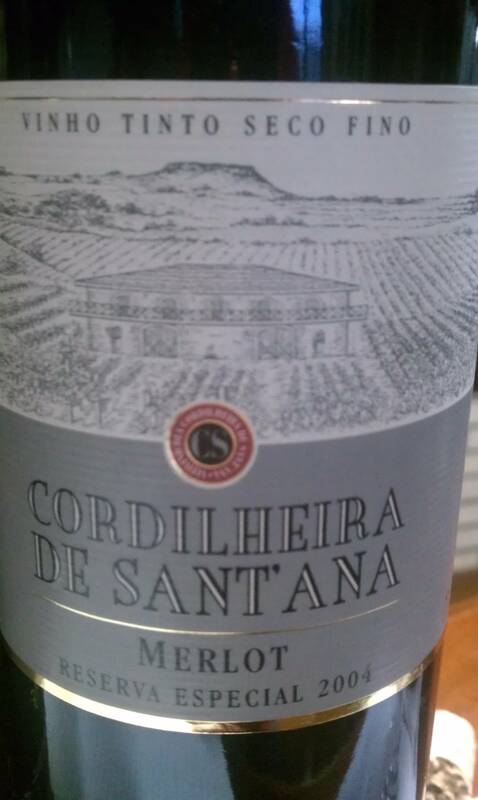 The aromas are of boysenberry and ripe tomato and stewed fruits. The tannins are soft with high acidty. It finishes with flavors of tart red berry fruits and pomegranate. This wine shows the warmer climate of the south. It has pruned fruits and flower pedals with a black plum. There is more body and has high acidity. The fruit comes across as fresh and juicy. The wine is concentrated with staining tears on the glass. It has plum and red fruit flavors. The aromas are intense with aromas of roses and violets. The tannins are soft with juicy fruit. It finishes with herbs and spices. What I most enjoyed about this wine is the texture. Not overweight on the palate with good tannin structure. This wine is a blend of Merlot, Cabernet Franc, Cabernet Sauvignon & Tannat. It has a deep purple color with a garnet rim. The aromas are of strawberries, flowers, smoke and leather. The fruit is lively and the tannins are dry and long lasting in the finish. Very Good! Thank you for sharing your story about Brasilian wine. I started wine import from Brasil to Norway in september last year. That is great! 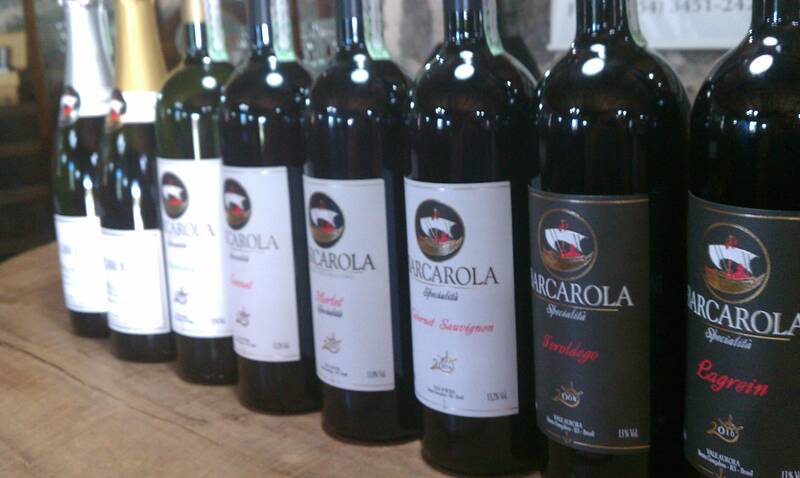 I visited both, Lidio Carraro and Casa Valduga and I was very impressed. I just hope that we start to see more in the near future. The other day I was sipping on a 2005 Tannat from Vina Barcarola and I just couldn’t get over the mouth-feel. There was this real interesting interaction of tannins and acidity on the mid palate. Terroir! It was just so cool! Many New World wines are getting so ripe and this mineral character is getting lost. 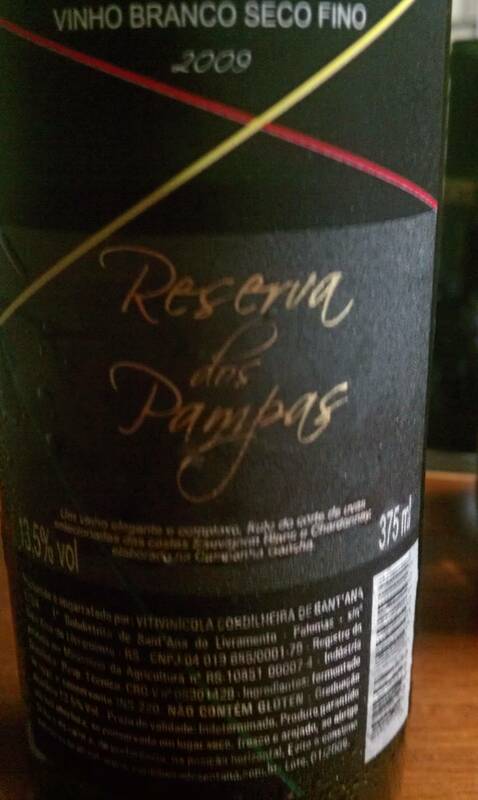 I believe that many of the Brazilian wines show this in a positive manner.